Silver Spring, Maryland | March 24, 2015 | Dorothea E. de Zafra-Atwell, MPIA, a retired Senior Management Analyst and Senior Program Manager with the U.S. Department of Health & Human Services, has been recognized by Elite American Executives for demonstrating dedication, leadership and excellence in public service. Dorothea E. de Zafra-Atwell, MPIA spent 33 years excelling in policy and program development, implementation, and evaluation at the U.S. Department of Health & Human Services in several subject areas. This included directing intergovernmental working groups in records and systems security management and the development of training standards. Mrs. de Zafra-Atwell was also well respected for her ability to: 1) manage all aspects of the contracting process for the development and field testing of science education curriculum supplements related to alcohol abuse and alcoholism; 2) equal employment opportunity counseling and managerial diversity training, 3) conducting management and policy studies and program reviews resulting in reports with actionable recommendations. She has an avid interest in history and archaeology and has volunteered on several excavations. In retirement, Mrs. De Zafra-Atwell aspires to continue to serve on career panels in schools and colleges, deliver lectures on public policy and public service, serve on advisory boards and committees for non-profit organizations. 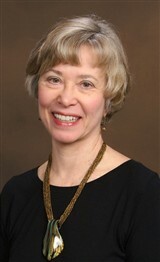 She became a credentialed elder advocate in 2010 and served as a long-term-care ombudsman representative throughout 2011. 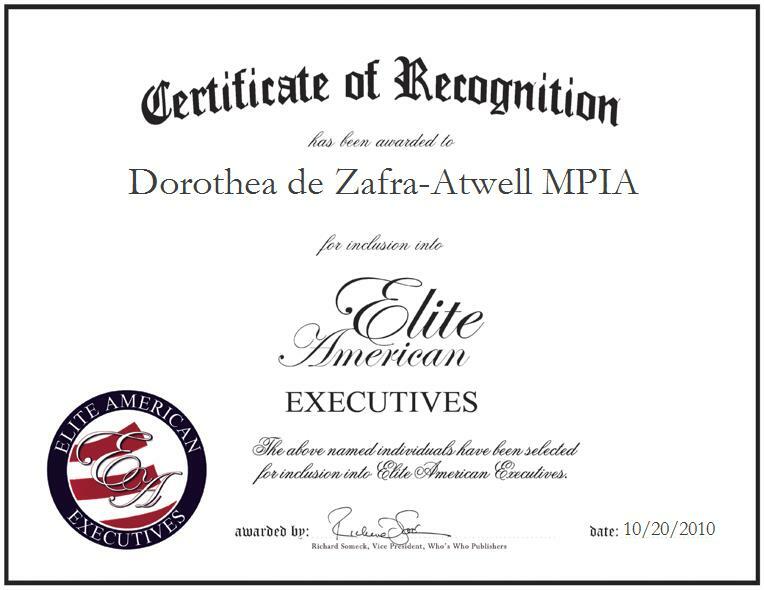 Dorothea de Zafra-Atwell MPIA was originally selected for inclusion in EliteAMERICAN Executives in October 2010. We are proud to be featuring Mrs. De Zafra-Atwell again in EliteAMERICAN Executives for 2015.